Welcome to my first guest post of the year! I’ve invited my writing buddy Sally to talk to us about her brand new psychological thriller – The Promise – which is being published this week. Exciting times! I’m certainly looking forward to reading it. I met Sally on a course several years ago, when we were both writing magazine short stories, with some success. Back then, the thought of ever having a book of any kind to our names was just a distant dream. How things have moved on! Take a look here at Sally’s Amazon page if you want to see her other publications and I’ll let you into a little secret of my own: I’m usually a step or two behind Sally, so I’m certainly feeling inspired by this, her second novel and hoping some of her writing ‘luck’ (ie: hard work and talent!) rubs off on me. When we became writing buddies, we made a kind of unspoken promise to each other: to swap work for constructive criticism and to support and encourage each other. I hope Sally agrees that we’ve done that and I hope we continue to do it for a long time yet! “Like Olivia in The Promise, I have a secret. But, unlike Olivia, I’m going to share it with you and hope that it won’t bring my writing career crashing down. Just as an actor gets stage fright, an author gets publication fright – or at least this one does! There was the initial euphoria of being taken on by The Book Guild, seeing the book’s wonderful cover design and having meetings to talk about publicity. Then there was the slog of reading the type-set proofs, once before and once after The Book Guild’s proof reader. It was on that final read through that the nerves set in. I’d read and re-read The Promise so many times that I knew bits off by heart. It had become boring and mundane. It was impossible for me to judge whether a reader picking up the novel for the first time would find it gripping (essential for something that’s supposed to be grip-lit!). I needed to quash my anxiety. All authors, whether traditionally, self or partnership published, have to do their own publicity, in person, online and in the media. And confident book promotion is difficult if the author has doubts about his or her product. So I’ve forced my anxieties into a dark corner, polished my pitch and taken heart from the comments of the few people who read the whole book before publication (none of whom has anything to gain by not telling the truth!). Olivia’s secret in The Promise is much darker than my publication fright and she has far more to lose if it gets out. She has so much to lose that she becomes the target of a blackmail attempt. The root of that secret goes back to Olivia’s teenage years and a promise made behind bars that must now be kept in the outside world. 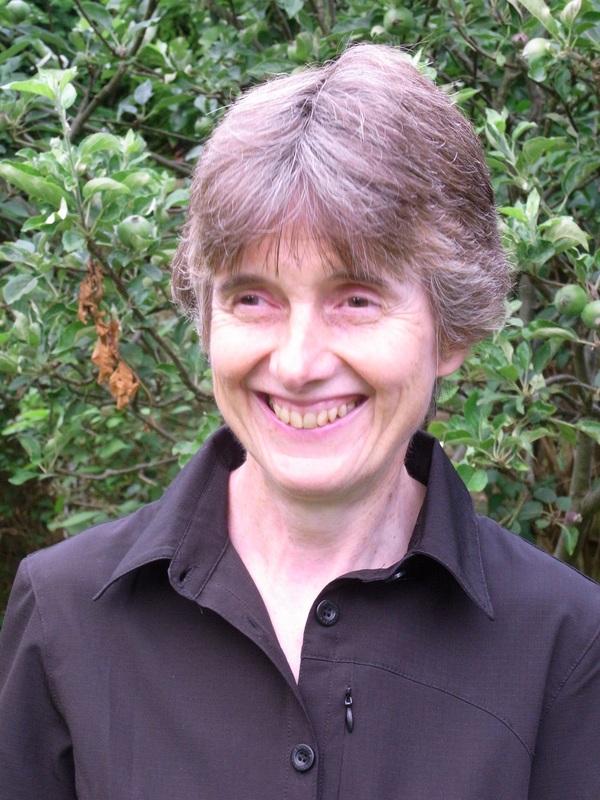 Sally Jenkins writes grip-lit/psychological thrillers and commercial women’s fiction. She lives with her husband in Sutton Coldfield and has two grown-up daughters. Find out more about Sally and follow her blog at https://sally-jenkins.com/ or follow her on Facebook, Twitter @sallyjenkinsuk or on Amazon. A man has been stabbed. A woman is bloodstained. The nightmares from her teenage years have begun again for Olivia Field just as she is preparing to marry. Ex-convict, Tina is terminally ill. Before she dies, the care of her younger, psychologically unwell brother, Wayne must be ensured. So Tina calls in a promise made to her thirty years ago in a prison cell. A promise that was written down and placed with crucial evidence illustrating a miscarriage of justice in a murder case. Tina believes Olivia is perfectly placed to provide the care Wayne needs, but to do so, Olivia must be forced to cancel her own wedding and wreck the lives of those close to her. Tina’s terrible blackmail demands put Olivia’s entire future and, ultimately, her freedom under threat. 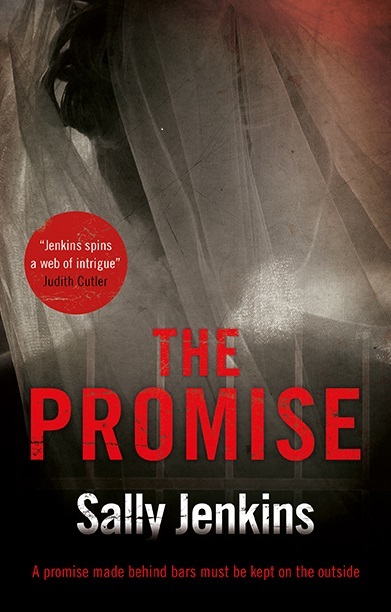 The Promise is a fast-paced psychological thriller told from several third person viewpoints. The novel explores the lengths to which people are prepared go in order to protect those they love and the impossibility of ever fully escaping our past actions. This entry was posted in Books and tagged Sally Jenkins; The Promise; writing buddy. Bookmark the permalink. Bless you for your honesty, Sally – and thanks for posting this, Helen. I agree, Julia. It’s all too easy to think that published writers are full of confidence, patting themselves on the backs and basking in the ‘glory’ of their achievement but I think most writers are riddled with insecurity! I always try to remember that good advice, ‘You can’t please everyone’! Good luck with the book, Sally. I’d have publication fright, too! Thanks for hosting, Helen. Good wishes Kate Hogan. Helen, I fell down some kind of rabbit hole and stumbled upon your blog. Glad I did! I’ve enjoyed what I’ve read so far. I’m thrilled for Sally, and I have my fingers crossed for you, Helen. Okay, I’m going to go poke around your blog some more. Priscilla, for some reason your first comment went into my spam box, so sorry if you were wondering where it had gone to! I’ve fished it out now! Glad to have you on board! It all sounds very exciting, Sally… and you’re right about the insecurity, Helen. Thanks for dropping by, Wendy! I know you’re currently waiting to hear about your novel, so fingers crossed for you and good luck!